If you are new to this site, this page will help you navigate so you can get to what you need fast! I have been writing about alternative nursing careers for 4 years now and things are changing rapidly in healthcare as you may know. Our mission is to keep information as up to date as possible and we’re always looking for new content ideas and guest bloggers, use the contact form to submit a post or suggest a topic we should write about. We love hearing from you. Here are a few important topics for all those already in or considering a career in nursing. Here is where you will find information on alternative nursing career options for RNs and LPNs. Holistic Nursing, Travel Nursing, Home Care Nursing, Informatics and more. You can also use the search box to your right to find a specific nursing specialty. Be aware, these are jobs outside the hospital so if you’re looking for Critical Care Nursing or ER nursing you won’t find it here. Ongoing education is a Must! It’s not just about career development but it also helps keep you motivated and of course up to date on what’s happening in nursing today. Here we’ll talk about online nursing programs, continuing education credits and non credit courses as well as certifications you may want to pursue. Become a life learner! Networking has become easier these days with social media platforms. Now you can reach nurses globally through social media so here you’ll learn best practices when using social media and which platforms work for finding nursing jobs. We’ll also talk about offline networking such as going to conferences and meetups. This is where it gets fun and personal. Let’s explore you natural talents and passions in life and dig deep to discover your real purpose in life, it may surprise you. Lot’s of personal development stuff here for career and life. This is for any nurse who wants to or is planning or already has a business started. We’ll discuss nursing business ideas, marketing that business, starting an online business and much more. I love online business and marketing! I have been fortunate to learn from some of the best so I will share my knowledge of having worked online since 2006. 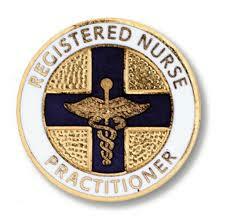 I will also be featuring nurses who are in business running successful nurse entrepreneur businesses. I want you to be inspired by their stories to take action yourself. I couldn’t have a website without doing reviews on products and services I use everyday, whether in my nursing job or my online business. Let’s get your nursing bag filled with the right essentials. There will be books, clothing, shoes, apps, programs, services etc. If I’ve used, read, wear it or in any other way consumed the product or service,and I love it, it will get reviewed here. You can also use tags at the end of each post or look through the tag cloud below in the footer, to connect micro topics such as holistic nursing, social media, coaching, continuing education, etc. Hope this helps you to navigate around and be sure to contact me if you have a post suggestion or want to guest blog, would love to hear from you. Also, if you have an affiliate or referral program and want me to help you promote your product, event, service, book etc. definitely use the contact form to connect. I love promoting all things nursing!